Our needs assessment indicated that transplant candidates want practical and genuine information regarding all stages of the transplant process. 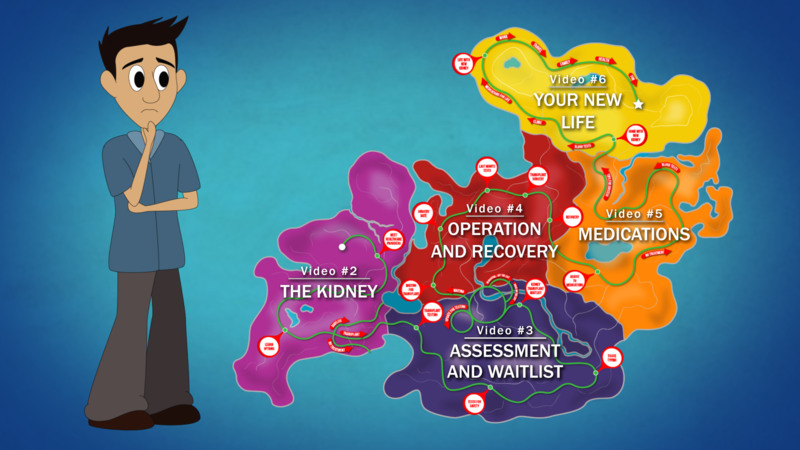 The videos series features the perspective of an animated character, who is about to embark on his own transplant journey. 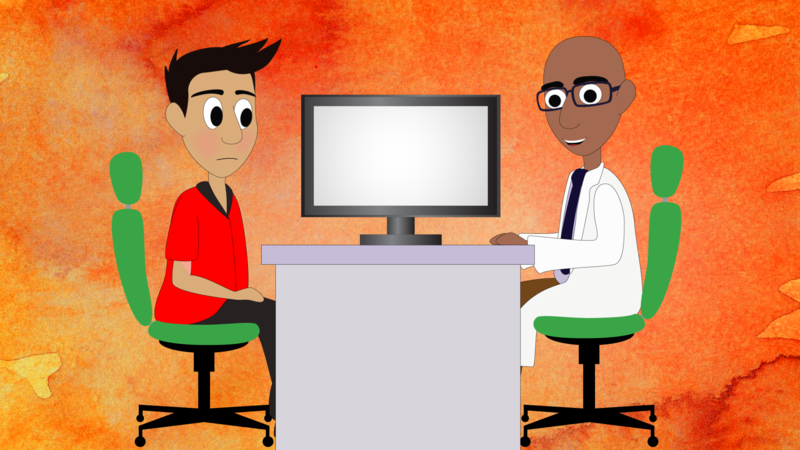 The lessons our character learns throughout the videos will be relatable and easily understood by a wide audience, including patients with poor health literacy. Meet Marc: He has kidney failure. Over the years his kidney function has decreased so much that soon he will need a way to replace the job of his kidneys. Marc is overwhelmed and he has a lot to learn. Luckily he is not alone: He has a healthcare team to support him, and other patients he will meet along the way, who will share their own personal stories. Travel with Marc through these videos as he gathers information to help him decide which path to take to treat his kidney disease. Learn about the process towards being listed to receive a transplant. Wait with Marc until he gets the call that a kidney is available for him, and travel with him to the operating room, the recovery room, and beyond.